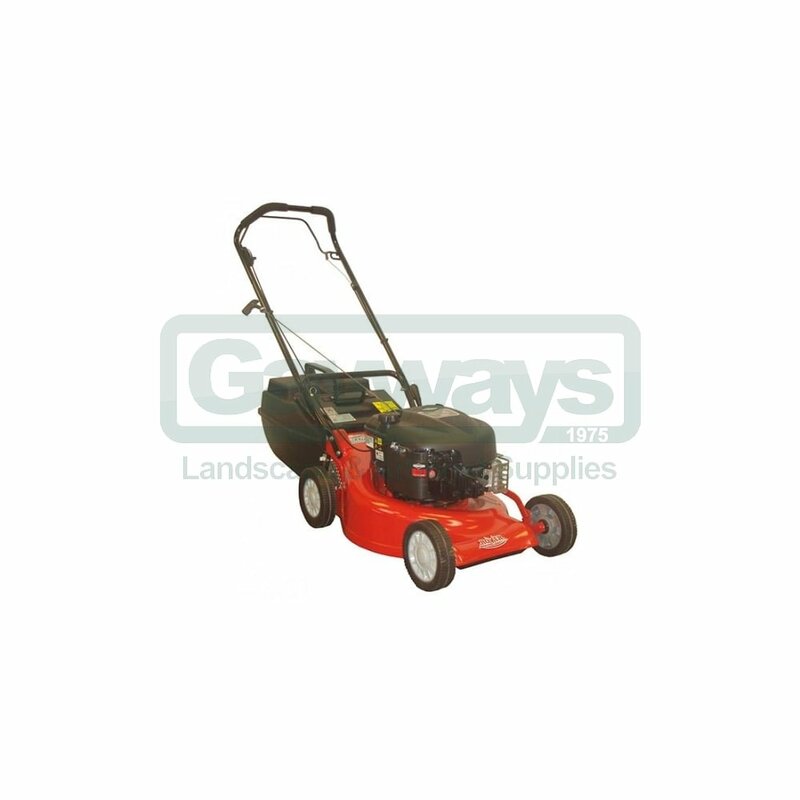 This Rover 18" Push alloy deck lawnmower is supplied with a mulch system as standard so you have the choice to either collect or mulch. 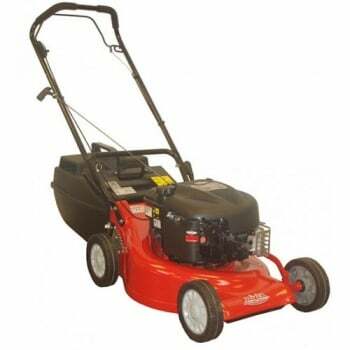 It also incorporates a disk to enable the high lift swing back blades cut the grass whilst providing maximum crank protection to the Briggs and Stratton engine. The durable 53 litre plastic grass box means this mower is capable of handling large areas of grass and with its alloy deck it makes for efficient mowing even in damp conditions. Reliable and easy-starting Briggs & Stratton Quantum 190cc engine with recoil start. Hand-propelled design assists manoeuvrability. Ball bearing wheels ensure the mower is easy to push and they will not stiffen up over time. Round disc with two or four blade option, swing back "high lift" blades to give optimum crankshaft protection. Alloy deck provides strength and durability. Centrally adjustable cutting height through 10 positions from 13mm to 60mm. Mulch kit supplied as standard. Excellent grass collection into generous 53 litre capacity plastic grass collector means less stops to empty. Optional rear discharge deflector available. Easy to fold handles, no tools required, for compact storage and transport.